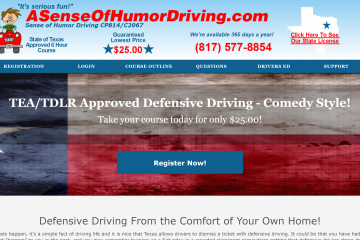 There’s nothing advanced about defensive driving techniques, they’re mainly common sense. Here are some simple ways to stay safe in transit. American roads can be dangerous, and more so in recent years than ever before. Much of this has to do with how busy our roads have become, but distracted driving is also to blame. 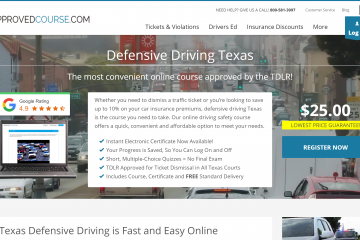 By practicing defensive driving techniques, drivers can do their part to promote safer roads. 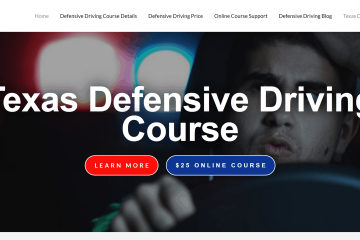 So whether you’re a brand new driver planning for your first driver’s license or an experienced driver who wants to commit to safer driving habits, here’s what you can do to drive defensively. When you’re driving you should always practice scanning the horizon in front, your mirrors, and back ahead again. Stay aware of your speed as well. Most of your attention should be focused on what’s in front of you, at least a quarter mile ahead. As you keep your eyes on the road, you can anticipate any upcoming hazards while still allowing yourself time to react to a dangerous situation before an accident occurs. Someone in front of you might have something fall out of the back of their truck bed. A car in front of you might swerve to miss an object in the road. Traffic might come to an unexpected halt. Someone might decide to jaywalk across the street unexpectedly. If you aren’t focused forward, these situations can lead to disaster. Consider both the time of day and your surrounding environment as you’re driving. If you’re in a neighborhood in the late afternoon, there’s a good chance that school might be letting out, so be aware of kids crossing streets and a change in speed limits. Stay focused forward to keep an eye out for cyclists, construction or road work, road signs, pedestrians, or cars backing out of parking spots. If you’re looking in the rearview mirror too often, you might not see hazards until it’s too late. 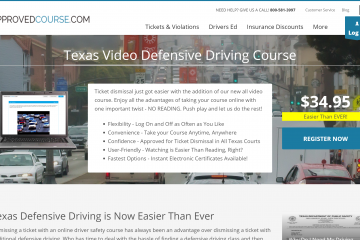 Your posture behind the wheel matters when it comes to proper defensive driving. To be in full control of your steering wheel, make sure you sit far enough back from the wheel that your elbows are only slightly bent. The backrest should be mostly upright and your legs should be able to slightly bend when you push the pedals. This position puts the driver in control and it’s also the most comfortable position for long journeys. Driving while sitting up straight puts you in the safest position for avoiding accidents. Other positions make it hard to maneuver the wheel if an unexpected condition arises. Some people tend to hug their steering wheel or sit too close, leaving very little room between themselves and the horn. Other drivers take an extra laid back approach in which they lean their seat far back where they can barely hold onto the steering wheel. These seating positions are dangerous because they limit the driver’s ability to control the car or access their blind spots. It’s also important to adjust the seat and mirrors before driving another car that you don’t usually drive. Don’t take off without first making sure the rearview and side mirrors are aligned so that you can see. To contribute to a safe driving environment, stay within the designated speed limit and allow for at least a couple seconds driving distance between yourself and the car in front of you. Remember that speed limits apply to the ideal driving conditions. If it’s snowing and roads or slick, or heavy rains make visibility difficult, match your speed to your surroundings so you can travel safely. Higher speeds make it more difficult to control your car if something goes wrong, so to keep control of your vehicle, control your speed. Tailgating other drivers can lead to road rage and accidents. Resist the urge to tailgate other drivers. If someone is driving well below the speed limit, wait until you have a safe opportunity to pass them on the side legally. Avoid showing anger toward slow drivers and don’t attempt to bully other drivers into speeding up. Though there are plenty of times when other drivers can be frustrating, reacting in anger can lead to aggression between both drivers and might result in injury. Alert driving is safe driving. 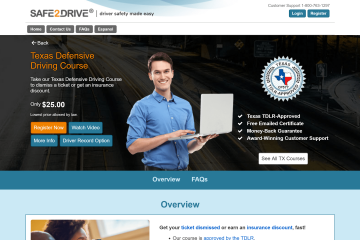 Defensive driving techniques include only driving when you aren’t sleepy or under the influence. When you’re alert, you can react quickly to any potential problems such as when a car in front of you slams on their breaks unexpectedly. Drugs and alcohol impair a driver’s judgment and their reaction time. Driving while drowsy has similar effects and it also happens to be one of the leading causes of automobile accidents. Rely on a designated driver or an Uber to give you a ride if you’ve been drinking and don’t get behind the wheel if you’re exhausted. Make sure you get plenty of rest before you head out on a road trip and take plenty of pit stops along the way. If you need to stop at a park and take a quick nap in your car for 20 minutes or so, do it to prevent yourself from becoming drowsy at the wheel. If you’re driving with someone else, switch off and take turns driving and napping to avoid accidents. It’s not just your life and the life of your passengers that are vulnerable when you drive drowsy or under the influence, it’s also the lives of those with whom you share the road. There are many ways to get distracted while driving. Every day, 9 people die in the U.S. as the result of distracted driving. Smartphones are a top threat to defensive driving with drivers often reaching for them when they should be paying attention to the road. While driving, put your phone aside and only reach for it in case of an emergency. Never text and drive, check your email, browse the internet, or attempt to play video games on your phone while driving. Hundreds of thousands of people are injured each year due to cell phone distractions while driving. Many lives could be saved each year if drivers put their phones away while they’re behind the wheel. Limit the number of passengers in your car while you drive and don’t ever cram more people into your vehicle than you have seatbelts to accommodate. Be aware of how loud music mixed with loud people can distract from your ability to drive defensively. Resist the temptation to finish your daily grooming or dressing while you drive. Putting on mascara or eyeshadow, brushing your hair, or adding layers of clothing while you’re operating a vehicle is asking for trouble. Food can be another big distraction while driving. Do what you can to avoid eating while driving. Small snacks aren’t a distraction for most people, but large, messy meals can get out of hand. Plan ahead so that you can eat before driving, or schedule pit stops to eat outside of your car. If you’re going to travel with children or pets, make sure they’re secure in their seats before you head out. If they demand your attention while you’re driving, pull the car over first before you tend to them. Be careful reaching into the backseat to assist kids or animals since this can cause you to lose control of the car. If any other activity demands your attention, pull off to the side of the road to a safe place and take care of it before heading back out on the roads. As a general rule of thumb, if you can’t give your full attention to driving due to some other activity happening in the vehicle, then it’s distracted driving. Take care of these distractions before or after your trip instead of during it. 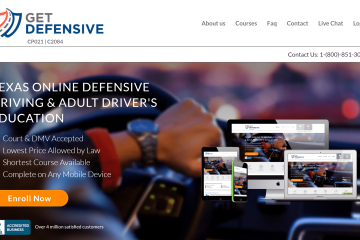 Now that you know some helpful defensive driving techniques, the next step is to put them into action on the road. Every time you grab your keys and turn the ignition, you should be prepared to use these tips to get to your destination in safety. 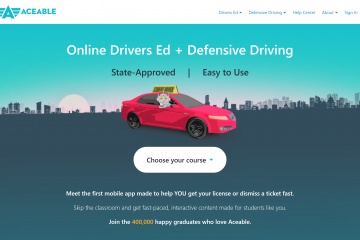 If you need to take any drivers education courses, whether as a teenager preparing to drive for the first time or as an adult, we offer the classes you need. 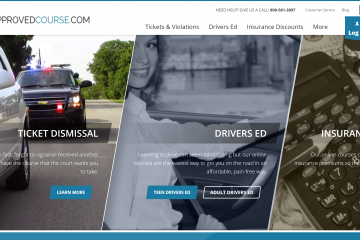 And be sure to browse our other helpful articles on driving safely.